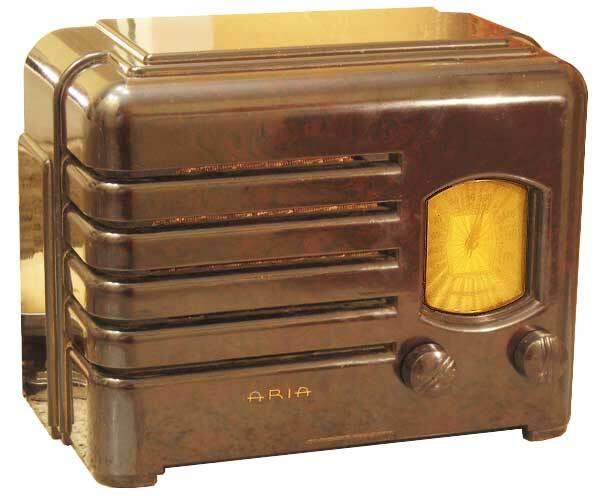 This Aria is one of a few rebranded Wells Gardner A11 radios that is also seen as a Westinghouse WR150 or other brands such as Coronado, Lafayette or Whelco. The radio is a 4-tube superheterodyne with no IF amplifier stage and the same chassis is used for the Airline 62-320 and 62-325. This particular example was an ebay auction win and the cabinet needed a great deal of cleaning and polishing.